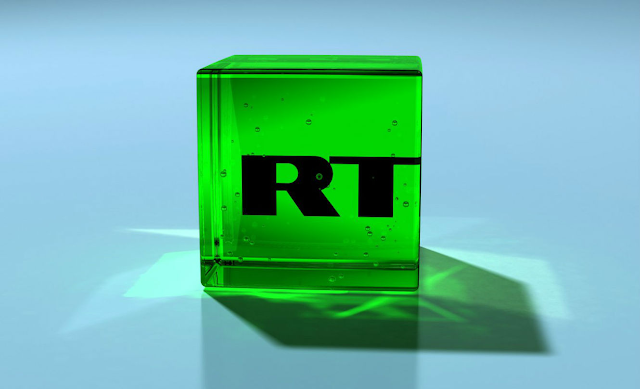 UPDATE | Kremlin-funded news channel RT faces an Ofcom review and could lose the right to broadcast in the UK. Broadcast regulator Ofcom is poised to "consider the implications" of recent events on RT's UK broadcast licences. The news channel, formerly known as Russia Today, has been increasingly at the centre of allegations of spreading Russian propaganda, a claim it vehemently rejects, and for repeated breaches of the UK's broadcasting code concerning impartiality. In a statement released hours after the Prime Minister addressed the House of Commons, accusing Russia of being involved in recent events in Salisbury, Ofcom says it has an "ongoing duty to be satisfied that all broadcast licensees are fit and proper to hold a licence". RT holds an Ofcom licence to broadcast on digital terrestrial TV service Freeview, as well as a separate licence covering satellite and cable broadcasts. The broadcast regulator confirmed it would await Prime Minister Theresa May's further comments, scheduled for Wednesday, before it would "consider the implications for RT's broadcast licences". Theresa May said the nerve agent administered in the attack on Sergei Skripal and his daughter was of a type developed by Russia and that she would return to the commons on Wednesday to discuss possible retaliation, including whether RT could continue to broadcast in the UK. In response to the events, an article from RT published today blasted UK authorities and media outlets, saying: "the last week has provided an opportunity for a mass unloading of theories and often ill-informed bile to be unloaded on anything connected with Russia." Since 30th October 2014, RT has broadcast a special UK version of its international news service, with UK-specific news programmes every evening. Since the launch of RT UK, Ofcom has found the service guilty of breaching UK broadcast rules, after failing to abide by impartially rules. Ofcom has previously threatened RT with sanctions or licence revocation.